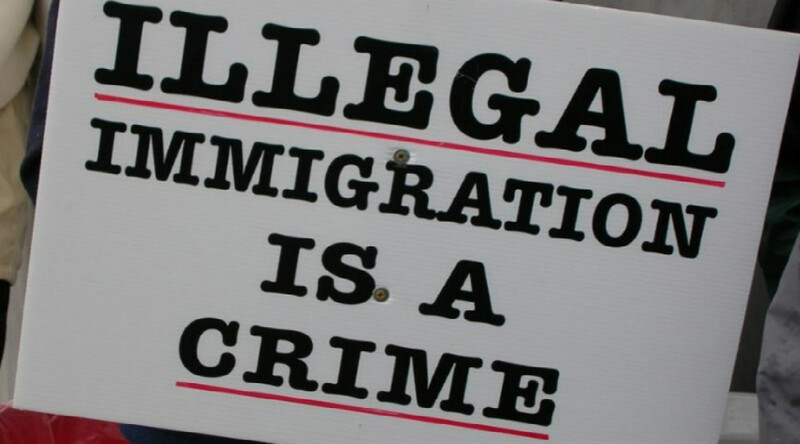 Illegal immigration is immoral, and President Trump, like any good, decent and patriotic American, has rightfully stated that anyone attempting to cross the border illegally should be marched straight back across the border, once it is determined they have crossed illegally, bypassing port of entry stations where they could have registered for either asylum or legal immigration status. He should have also added that these people are not conservatives or just like regular Americans, and as such, before we see one more American dead by the hands of an illegal alien, we must do all within our power to ensure that the border is secured and all illegal aliens deported, along with any children verified to be their own, in order to save our Republic from an ultimate destruction. President Trump stated on Wednesday, June 20th, 2018, “If you’re really, really pathetically weak, the country is going to be overrun with millions of people”, which makes it double troubling that he would follow this on the same day with an executive order that caves to the leftist false narrative surrounding illegal alien families and allows them to stay together, which adds more costs to the U.S. tax-payer. Now America must find or build new facilities capable of meeting this new demand. People ask many conservatives “Don’t You care about the children?” Yes! Most, if not all do. We care enough to allow them to be detained together long enough to see them deported. It is not child abuse to send them back to Mexico or wherever they originated, with their parents, who had every chance to first apply for legal immigration. We should ask the Democrats, “What about the children of low-income American workers who experience lower wages due to illegal aliens working for cash and off the books?” And, what about the children of legal immigrants who have been waiting patiently in line for years, for their opportunity to come to America? What about other migrants attempting to escape violence, who have properly asked for asylum but are seemingly punished for following the rules, like Chaldean and Assyrian Christians? Most truly conservative Americans could care less that these people are largely Hispanic coming across the southern border. 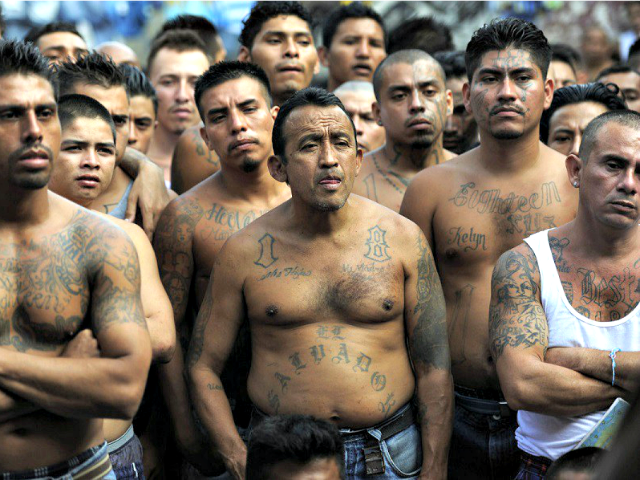 What concerns conservatives most is the real differences in ideologies, between them and these illegal aliens. And they are right to be concerned. Anybody who believes in the U.S. Constitution and the Founding principles had better be getting plenty damned worried and acting to stop these invaders. At no point in U.S. history has the majority, or even a significant portion, of our Hispanic population voted Republican in any national election, with the trend becoming increasingly Democrat. In 1960, the Hispanic population in America was approximately six million and it has now reached about 60 million; and it is projected to reach 110 by 2048 on its current trajectory. This puts the Hispanic population on track to being one of the most influential in future elections.A Cato survey from 2017 reveals seventy-two percent of Hispanics agreed with the phrase “hate speech is an act of violence,” and sixty-two percent agree that “people who don’t respect others don’t deserve the right to free speech.” The majority of Hispanics have no real understanding of the concept of “free speech”. How will that change the face of America once Hispanics become a majority in America? They also believe that gun control in society is more important than protecting the right of everyone to keep and bear arms. And only nineteen percent favored a smaller government with fewer services over a the big government option. While the Heritage Foundation and writers like Israel Ortega contend that Hispanics, for the most part, hold values consistent with conservative principles, nothing could be further from the truth, and the GOP, in this sense, is misguided in ever believing that this demographic will be anything more than a boon for gun control, the welfare state and more big government bills, projects and spending. Americans should also consider that within just a few short decades our first two amendments could be in real danger of being repealed by a demographic that largely aligns itself with the illiberal, anti-Constitution and anti-American segments of our country. Where is the outrage over Ms Laura Wilkerson’s son, Josh, being brutally tortured to death and set afire by an illegal alien MS-13 gang member? Where is the outrage over Christy Sue Pina, daughter of Juan and a U.S. citizen, being kidnapped, strangled, stabbed and raped and left dead in an artichoke field, by an illegal alien? And the list is long and grows more horrific as the numerous stories were told to the President at the White House on June 22nd. Our leaders must regain the strength and the political will to uphold the rule of law, the same strength that Andrew Jackson had to run the Spanish out of Florida and Sam Houston had in winning the day for Texas against Santa Anna’s army, if our nation is going to succeed in halting it’s decline, into nothing more than the “polyglot boardinghouse” for the world that Theodore Roosevelt warned against. They must not force this generation to bear witness to our great American Southwest being reconquered through a deliberate policy of the Mexican regime, that seeks to aid the La Reconquista movement and the detachment of our lands ethnically, linguistically and culturally. A firm and vigorously enforced plan to rid America of illegal aliens and secure our borders must soon be pursued, since tens of millions more potential illegal aliens are poised at the Southern border ready to end the legacy of Jackson and Houston and a host of American patriots, an American legacy, our Republic. Leftists' Hypocrisy Just Keeps on Comin'Are You Living In a Psychopath State?